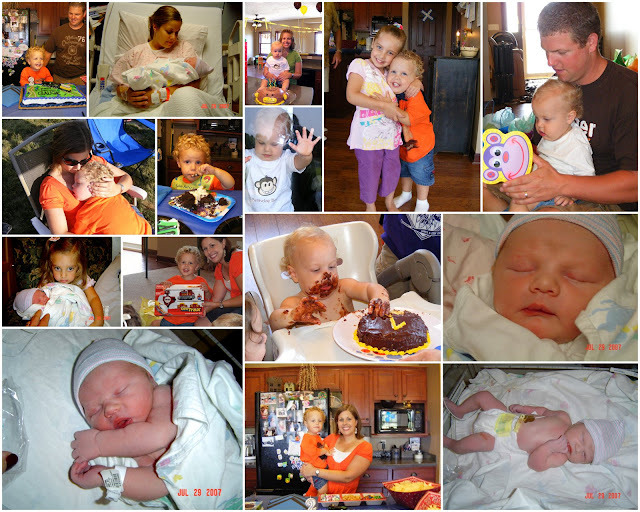 Life Down Our Lane: Wordless Wednesday: Happy 2nd Birthday! Wordless Wednesday: Happy 2nd Birthday! Did you use a service to make your collage? I once ordered one like that from Snapfish, and I've always really liked it. Great photos! How sweet! Happy Birthday Gauge! SO cute! Happy 2nd b-day to Gauge!!! Happy Birthday to your son!! This is so great my son's name is GAGE too, only they are spelled different. It's rare I hear anyone who has that name for their son. Curious how you came up with it. I took it from the little boy in the movie Pet Cemetary and his middle name is Quentin after Quentin Tarentino. Yeah I like horrow films. Love the collage! Happy Birthday! He's so cute.. I really love looking at the faces of the babies smashed with icing.. They really love eating cakes..